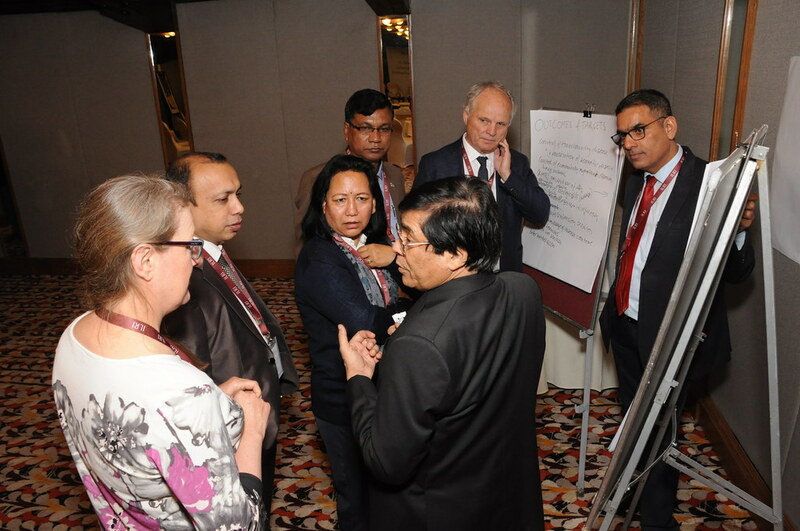 On 13 and 14 November 2018, the International Livestock Research Institute (ILRI) convened a regional workshop with partners from Bangladesh, India, Nepal and Pakistan. Together with ILRI senior staff and scientists, participants from public and private institutions reviewed country development outcomes, agricultural priorities and constraints and potential contributions of the livestock sector in the region. The aim was to identify issues and problems that could be tackled through sustainable livestock-related research for development in four priority areas: dairy development, goat development, feed and forage development and animal health. The workshop was opened by Habibar Rahman, ILRI Regional Representative for South Asia. He called on participants develop a roadmap to help transform the livestock sector in the region. ILRI Director General Jimmy Smith reminded participants of the importance of the livestock sector, pointing to adverse forces trying to remove livestock from the planet, and calling for renewed efforts to increase livestock productivity while protecting the environment. Prakash Mathema, Secretary of the Nepalese Ministry of Agriculture and Livestock Development highlighted the importance of livestock in the economic development of Nepal. He said that livestock is an integral component of Nepalese agriculture, it contributes significantly to the GDP, contributes to food and nutrition security, provides employment opportunities, and supports rural economy. He argued that the productivity of livestock can grow tremendously if research can be linked to the needs of the farmers. Trilochan Mohapatra, Director General of the Indian Council of Agricultural Research explained the roles of livestock in the Indian economy and its potential to increase incomes and food security. He highlighted the ways that livestock can contribute to the Indian Prime Minister’s goal to double farmers’ incomes by 2022. He particularly argued for enhanced regional cooperation in research and development to enhance the productivity of local and indigenous livestock breeds, expand One Health approaches, make livestock climate-resilient as well as productive and tackle transboundary animal and zoonotic diseases. 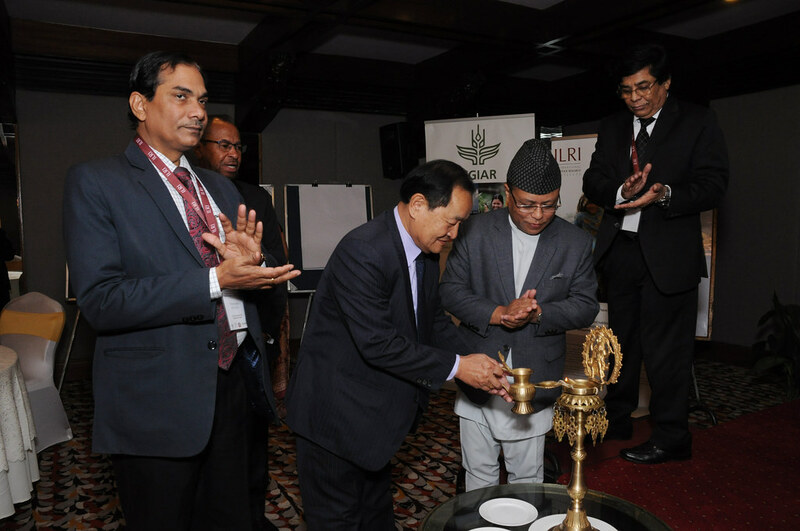 Dil Bahadur Gurung, Member of Nepal’s National Planning Commission said that livestock contributes around 26.8 percent to the agricultural GDP in Nepal, giving it a vital role in increasing the incomes of smallholder farmers. He looked forward to stronger cooperation with ILRI and the other countries attending the workshop. Following the opening session, ILRI’s Bolek Stawicki gave a short presentation on ILRI’s research for development approach, emphasizing its partnership elements and focus on outcomes. Introductory country presentations gave insights into sustainable livestock development priorities, challenges and opportunities in Bangladesh, Nepal and Pakistan; while another presentation gave a regional overview of livestock challenges and priorities. Following the country introductions, participants worked in groups to validate and prioritize country and regional priority outcomes, major bottlenecks and challenges, and potential interventions in four areas: dairy development, goat development, feed and forage development, animal health. Michael Blummel showcased several spin-off technologies from 2nd generation biofuel development that can transform crop residues into high-quality concentrates. Sita Ram Ghimire introduced ILRI work on forages in Africa with potential for South Asia. Padmakumar shared 4 key lessons to deliver successful goat development programs in South Asia. Dieter Schillinger introduced ILRI’s work on animal and human health, highlighting research on food safety, anti-microbial resistance, and the nutritional value of animal-source foods in the first 1000 days. Raj Kumar Gera from Hester Biosciences Ltd introduced a large-scale project to deliver Newcastle Disease vaccines to smallholders in India. Jenny Hutchison from Ausvet explained how changing the focus of animal disease surveillance to focus on the information needs of those who generate data promotes system sustainability while applying advanced ICTs results in the timely submission of accurate, high quality data that can be summarised, analysed and monitored. These ideas are the basis for further collaboration to formulate concrete proposals for research activities in the region. They will be supported by stepped-up regional investor intelligence and engagement supported by ILRI globally and through its South Asia regional office. Alongside the workshop sessions, the director generals of ILRI and the Bangladesh Livestock Research Institute signed a memorandum of understanding to undertake collaborative livestock research for development to enhance the economic status of smallholders in Bangladesh.